We stopped going to Evelyn's after a mosquito bit and nearly killed my sister by giving her spinal meningitis. 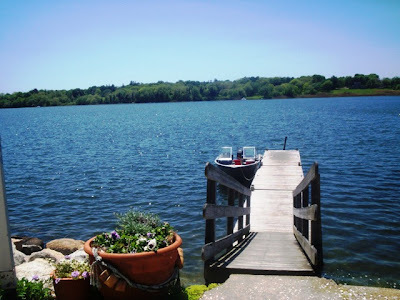 Since that incident was over 20 years, and that mosquito has been dead for quite some time, Mom and I decided that it was safe to go back near the water and have a seafood lunch under Evelyn's large wooden pavilion. We pulled into the parking lot at just around 1 p.m.
*Believe it or not, this is actually one penny too much. When the cashier quoted me the price, I was a bit shocked. Why was it so high? When she handed me the receipt, I saw that the fish and chips were $12.99. 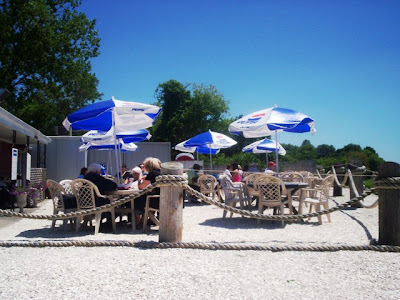 Around here, especially at "clam shacks," you can usually get an order of fish and chips for around $8. I showed Mom, and she was just as surprised as I was. "Maybe the portions here are really big," she said. We kept our fingers crossed until we heard our pickup number being called. In the meantime, I was trying to keep the stones and clam shells from the parking area out of my flip flops. Evelyn's is adorable. 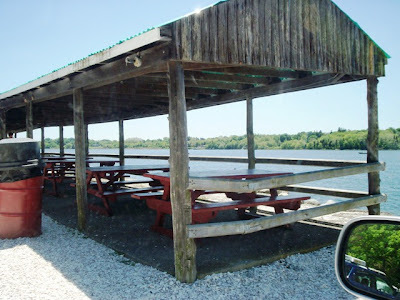 From the large wooden pavilion for people who order at the window, to the umbrella-topped tables for the indoor patrons who were seated through the dining room, customers can enjoy peaceful Nanaquaket Pond. We even saw a couple of guys dock their boat and walk up the ramp to order a bag of clam cakes. After hearing the cashier call out my number, I went up to the counter to claim our meals. We took the first table under the pavilion while carefully avoiding a large queen bee that was hovering around a bucket of flowers. It took a few minutes to set everything up so that the wind wouldn't take off with our lunch, but once we were settled, Mom and I dug in. Mom's fish and chips consisted of a good sized piece of fish with a light coating. The fish was not greasy, but the fillet was on the thin side. 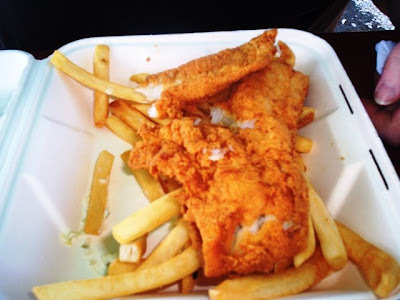 The fries around the edges of the piece of fish were tasty, crisp, and dry, but the ones that were trapped underneath were soggy. The platter came with a side of cole slaw, which she gave to me, and a cup of tarter sauce, which was disgustingly overfilled and had spilled onto the fish and a few fries. It made for a messy presentation, especially since Mom doesn't like tarter sauce. After digging the sauce out with a couple of butter knives, Mom tried her fish, which she said was the best part. The fish was tasty, but nothing spectacular. In other words, it's nothing (portion or taste) that should have cost $12.99. Of course, I neglected to find out if the chowder was clear or creamy. I guess it doesn't really matter, but I always prefer the creamy white. Unfortunately, Evelyn's serves the clear. Oh well, that's Rhode Island for you. I was hoping that perhaps this clear chowder would sway me to the other side, but like Mom's fish, it was nothing special. Served piping hot, the chowder was over-spiced but had a nice mixture of potatoes and clams. Since Mom had given me her cole slaw, I ate that first to give my chowder time to cool down. 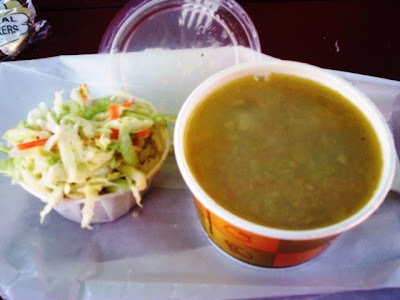 Unfortunately, I did not like the cole slaw because it was too dry. Did they forget to mix the veggies with mayonnaise? 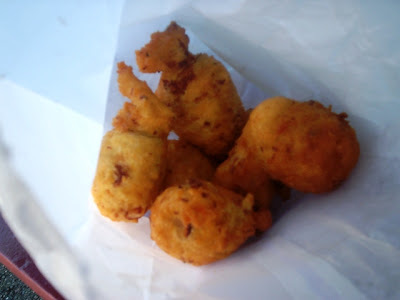 Since the third time is supposedly the "charm," Mom and I opened the bag of clam cakes and hoped for the best. Sadly, we were disappointed. The cakes were so heavy and doughy that they were sticking to the roofs of our mouths. There seemed to be about two clam pieces per cake, and the coating had no crunch to it. Even after dipping my cakes in malt vinegar, which Mom had grabbed from the condiment basket on the counter, it didn't help the underdone texture. To us, the clam cakes did not have a lot of taste. What a let down! I feel badly that we did not have a good experience at Evelyn's since the restaurant is such a favorite with local residents. People love Evelyn's so much that it was even featured on the Food Network! I really want to give Evelyn's another shot, but I do think that the fish and chips were a bit overpriced. Perhaps it was because the fish is priced at market value - but still! From the weird choices like the chow mein sandwich ($3.99) to house favorites like the clam strip plate ($10.99-12.99), Evelyn's remains a staple for New England summertime road trips. Both Mom and I hope that our next visit is much better. 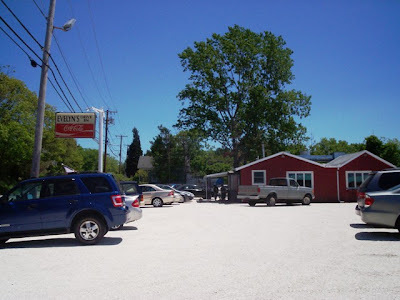 Evelyn's Nanaquaket Drive-In is open daily from 11:30 a.m. to 8 p.m. (summer until 9 p.m.). 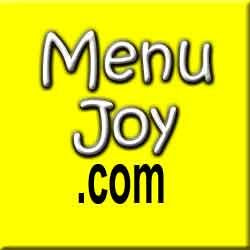 PS - Evelyn's has a fantastic Web site. Very informative and fun!